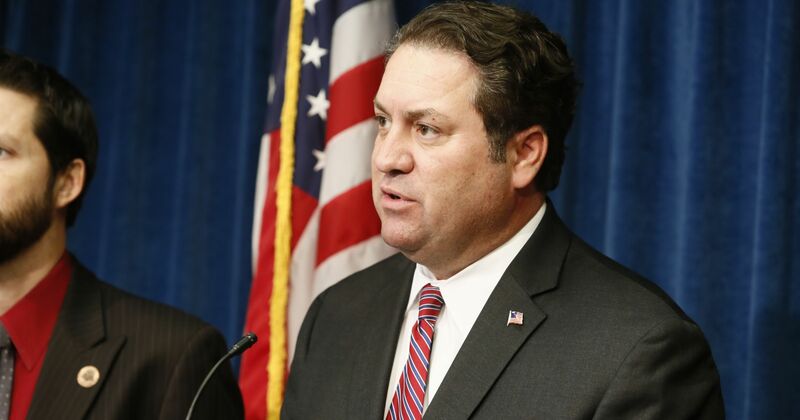 Arizona Attorney General Mark Brnovich believes the state legislature should consider civil asset forfeiture reform in the 2016 session, which begins in January. He did not offer specific ideas for reform, but he acknowledged that the state's current forfeiture laws can be abused and wants to bring interested parties, including reformers and law enforcement, together to discuss what can be done. In Civil Asset Forfeiture: Grading the States, FreedomWorks gave Arizona a "D-" for its current forfeiture laws. Prosecutors can forfeiture property by showing only a preponderance of the evidence, a low standard that requires the government to show a more than 50 percent likelihood that seized property is connected to illicit activity. Property is considered guilty until proven innocent by its owner, who does not have to be charged with a crime. A perverse profit motive exists as law enforcement can keep 100 percent of the proceeds from forfeitures. In July, the American Civil Liberties Union of Arizona filed a lawsuit on behalf of Rhonda Cox that challenges the constitutionality of the state's forfeiture laws. Cox allowed her son, Chris, to borrow her truck in August 2013. He left the truck sitting in the parking lot of a store, where the Pinal County Sheriff’s Department noticed it and connected its hood and bed cover to a reported theft. Deputies seized the truck, leaving Cox facing a costly battle in civil court, where the odds were stacked against her. Cox, an innocent owner, had to pay a $304 fee just to contest the seizure. She was not entitled to legal counsel under Arizona's forfeiture laws and should could not afford one. These circumstances led Cox to try to contest the forfeiture of her truck on her own. After being informed that she would have to cover court costs if she was unsuccessful, Cox withdrew her claim. "The First Amendment of the United States Constitution protects, among other things, the right to petition the government for a redress of grievances," the lawsuit states. "The Due Process Clause of the United States Constitution protects, among other things, a person like Rhonda from being deprived of her property without a timely, meaningful, fair procedure." These cherished rights were denied to Cox under Arizona's forfeiture laws. In the lawsuit, the American Civil Liberties Union of Arizona explained that state and local law enforcement are incentivized to pursue forfeiture of property, even from those who are not charged with a crime. "According to the most recent Forfeiture Monies Report compiled and submitted by the Arizona Criminal Justice Commission as of the date of this filing, the Attorney General Master Account held $16,653,523; the Attorney General Individual Account held $15,423,990; the County Attorney Master/Pooled Account held $43,233,148; and Local Agencies held $9,508,052," the lawsuit notes. "All of this money is controlled only by people and agencies, including the Law Enforcement Defendants, whose direct pecuniary interest in these monies is created by the Forfeiture Laws and results in a perverse, unfair, unconstitutional incentive to seize and forfeit as much money and property as possible as a means to ensure a slush fund available to them with little or no oversight." During a visit on Tuesday in Casa Grande, Arizona, Brnovic, a Republican and a former assistant US Attorney, acknowledged the problems in current state forfeiture law. "I know it is an effective tool for law enforcement," he said, via Casa Grande Dispatch. "However, the potential for abuse or misuse is there." Though he did not offer specific reforms that he may urge the Arizona State Legislature to adopt, he did say that he has "a few ideas." He also suggested that legislation may be filed in the upcoming session. If Arizona state lawmakers are interested in forfeiture reform, ideally, they would require a criminal conviction before property can subject to forfeiture, like its neighbor, New Mexico, has done. This firmly places the burden of proof on the government, which must prove beyond a reasonable doubt that the property owner has actually committed a crime. If lawmakers are not amenable to this idea, at the very least, they should consider raising the standard of evidence in civil court to "clear and convincing" and place the burden of proof on the government. The profit motive should also be deterred by directing the proceeds from forfeitures to the state's general fund or a neutral account. Additionally, lawmakers should consider requiring law enforcement and other agencies with power to seize property to keep track of what they have seized, whether the person from whom the property was seized was charged with or convicted of a crime, and how forfeiture proceeds are spent. Raising the evidentiary standard in civil court and shifting the burden of proof to the government, along with transparency requirements, would be steps in the right direction that would protect innocent people, like Rhonda Cox, from this particular form of government overreach.